This is a game that was released in 2014 and it features an earlier unseen re-spin feature. 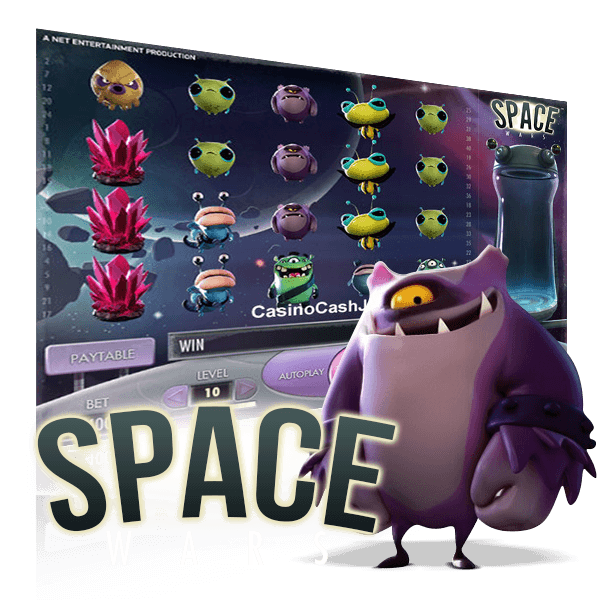 Each winning spin on Space Wars generates a re-spin. During this spin, more of the same symbol as you just won with is added to the reels for that re-spin only. This increases the chance for a win a lot. The better win you get on the first spin, the larger the potential is for the re-spin. 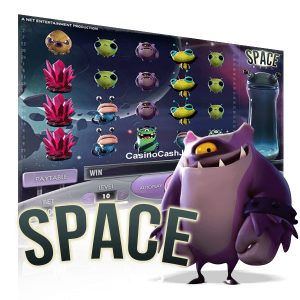 There are no other features on Space Wars, but since the re-spin feature is activated after any win, it actually feels okay that there’s no other features. The maximal potential win during a single spin is 1.000x the stake, but it can technically be doubled during the re-spin feature. The RTP for this game is 96.80%. Space Wars has stacked wild symbols on reel 2 and 4. These symbols substitute for all other symbols in play. A special thing about this slot machine is that there is not possible to win with more than one type of symbol during a single spin. There’s not a lot of features on Space Wars, in fact that’s only one. The feature I’m talking about is a re-spin feature. Let’s have a closer look at how the re-spin feature works, and what kind of potential it has. The re-spin feature is triggered by any win during the base game. 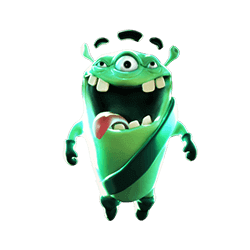 When a win is generated, the winning symbol will be sucked into the teleporter shown on the right hand side of the game. These symbols will den be teleported back to the reels for the upcoming re-spin. This means that during the re-spin, a lot of extra symbols matching the triggering win symbol will be added to the reels. This has a huge impact on what kind of symbols that will appear on the re-spin. I would estimate that about 9 out of 10 re-spins contain a winning combination. After a re-spin has finished, your free to play along with the normal reels again.